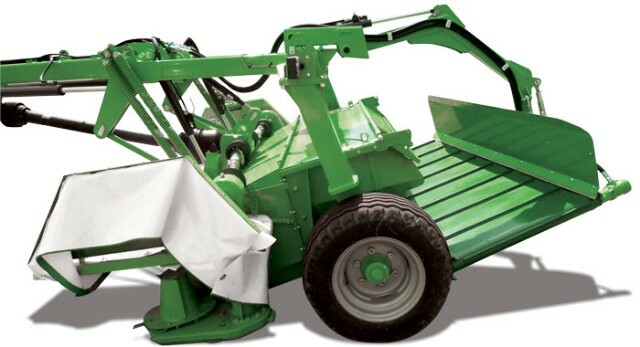 The KDC series are from SaMASZ’s top of the line trailed disc mowers. 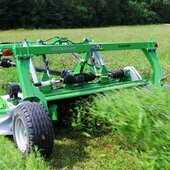 These rear trailed mowers are equipped either with tine or conditioner. 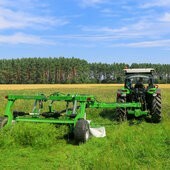 The long drawbar enables operation on the right as well as the left side of the tractor. The KDC series also comes with SaMASZ’s new Perfect CUT cutterbar. Precise cut, high durability of components, protection against sudden disc stop in case of an oncoming obstacle, quick and easy disc module replacement are all advantages of Perfect CUT cutterbars. 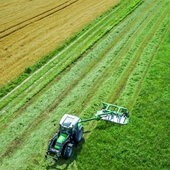 Additionally, the mower is equipped with wide wheels which enables excellent adhesion, perfect for operating on water-soaked meadows.